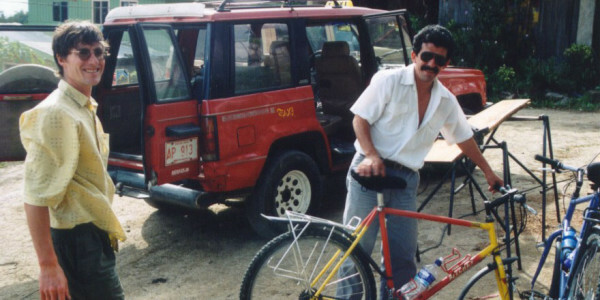 Taxis are a viable method of transportation in the countryside as well as in the cities and towns of Costa Rica. While they are extremely expensive compared to public buses they are convenient and reasonably economical compared to tourist van transfers or rental cars if you are traveling with two or more people. 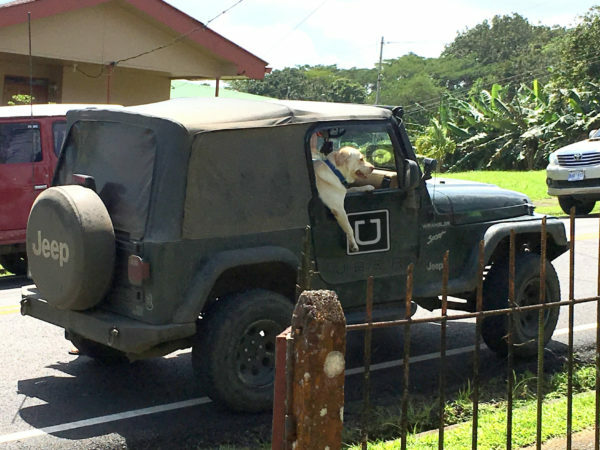 Note: Uber is technically illegal and mostly useless for travlers in Costa Rica (see details) – some drivers operate under the radar. It is not illegal to be an Uber rider and the only consequence for riders is that they may be stranded if their Uber is impounded by the police. Note: In late 2018 the government announced the creation of “Taxi Shake” which is a legal app that is designed to replace outlaw Ubers with ride hailing for official Red Taxis. The rates are the same as listed below for hailing a cab on the street or by phone. Fares vary by vehicle type and location (airport taxis are more expensive). The government agency that sets the fares ARESEP Autoridad Reguladora de los Servicios Públicos changes them every few weeks. Most recently they went down ¢5 – ¢35 per km ($0.01 – $0.06). The point of telling you this isn’t so you can calculate your cab fare down to the last penny. It’s to point out that the changes are usually almost trivial and that if a driver’s meter does not exactly match the rates published here or elsewhere they are not necessarily trying to rip you off for a few cents. The rates probably really did change. For an individual a taxi would be 5 to 10 times as expensive as a public bus but become more affordable if there are 3-4 people sharing the cost. In San José a cab ride can provide as much value in information as transportation. The landmark based system of addresses and maze of streets through the Barios can be baffling to the uninitiated. Official fares are approximately ¢630 per km plus “stopping time” of ¢630 for every period of more than six minutes stuck in traffic. Cab drivers are required to use a meter (referred to as a María); be sure to request its use (“Ponga la María por favor”). Any attempt to collect a surcharge on Sundays, holidays or at night is a scam. There are no official off hour charges in Costa Rica. There is however a surcharge for airport taxis but it is built into the meter. The passenger is expected to pay any tolls. Official taxis are red with triangular yellow emblems on the sides, a meter, and a white or yellow lighted sign on top (one licensed company “Taxi Aeropuerto” operates orange cabs and minibuses from the airport). When picking up or dropping off at SJO airport taxis are allowed to charge more (see rate table). Avoid piratas (pirate cabs) or unlicensed taxis as they are frequently accused of gouging tourists. Occasionally there are reports of unlicensed drivers robbing and dumping their passengers. Most of the taxis outside of San José are large, 4WD Landrovers and Range Rovers. The drivers know how to get everywhere or know who to ask, and often near national parks and biological reserves you will find that they are informative guides. Meter use is not strictly enforced outside the San José metropolitan area or the meters are often “broken”. If no meter is available negotiate the fare in advance figuring $1.25 per km depending on your Spanish skills. It is customary and fair to charge extra when the trip includes unimproved or degraded roads (to Monteverde for example). A good guideline for figuring how much you should pay to have a driver wait for you while you visit an attraction is the official rate of ¢3,850 per hour ($6.20) which is enforced in San José but negotiable in rural areas. Taxi drivers usually congregate near the Parque Central, bus terminal or mercado in smaller towns. Especially if you aren’t traveling on a tour or in a rental car, stash away $100 or so for a long taxi ride or two, and then use it. Grab a cab when the bus or plane is late, when your hike dumps you out on a highway 12 miles from the ranger station you thought you were going to end up next to, or when it’s raining at the beach and you would really rather be at the bar 20 km up the coast. You will have the power to convert a disappointment into a good time. By way of comparison the express bus from SJO to downtown San José is ¢585 or $1.10 per person. The bus is about 10 times cheaper if you split the cab between four people and the bus is about 40 times cheaper if you’re traveling solo. The official rate for longer routes cross country is only a rough guideline. For example the official fare for the 92 km from SJO Airport to Playa Hermosa (near Jacó) is roughly $130 but the couple of times we’ve used a cab we paid about $75. Others have reported that the driver wouldn’t budge for under $150. In urban areas it’s against regulations to refuse to provide service but in/to outlying areas if you aren’t willing to pay enough drivers are within their rights to refuse to take you… How much is enough depends a lot on the circumstances. We’ve paid almost double the official rate on occasion when the driver figured he’d have to return empty. However we’ve paid less than 1/4 of the going rate when the driver had a cousin he hadn’t seen for a while in the town we were headed to and figured there was a good chance of a return fare. If you have a problem with a taxi you can report it to bilingual staff at ARESEP’s toll free number: 800-027-3737 during business hours.